How to Convert DRM Protected Audiobooks to MP3? Audiobook now is getting more and more popular for book reading, e-learning in the network times duo to its convenient and flexible. However, the DRM protection added to the audiobooks makes the consumers frustrated sometimes. As the largest online audiobook re-seller and producer, all of the audiobooks provided on Audible.com are encoded in .aa or .aax file format protected by Audible's Digital Rights Management (DRM), in which way the Audible .aa and .aax audiobooks can only be played on selected mobile devices. That's to say, customers are not allowed to play the DRM-locked .aa and .aax Audible files on non-Audible-approved devices even they've purchased the audiobooks legally from Audible. 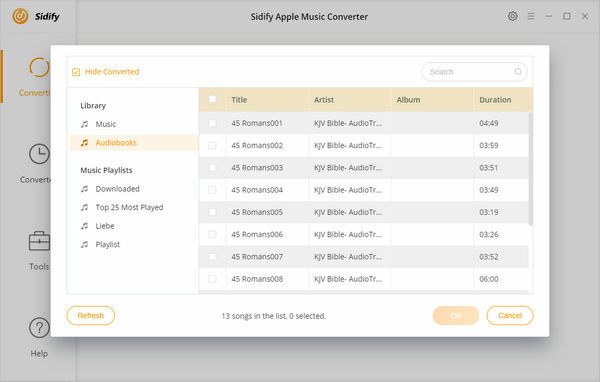 With Sidify Apple Music Converter, you can easily remove DRM from both iTunes purchased audiobooks and audible audiobooks. It can also convert DRM-ed iTunes audiobooks like M4A, M4B, AA, AAX files to unprotected MP3 losslessly. 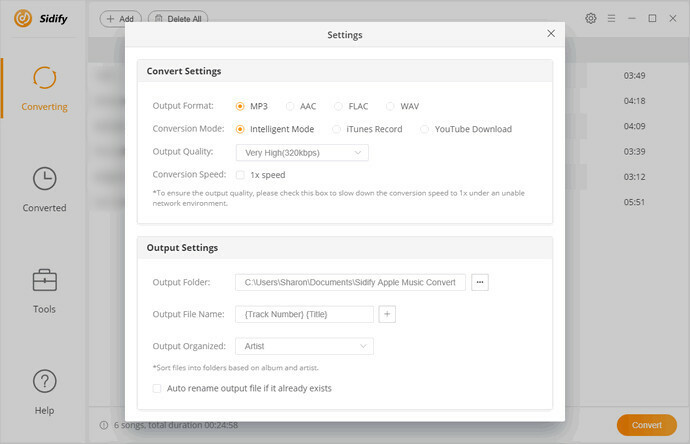 Launch Sidify DRM Audiobook Converter and click "+" to add Audiobooks tracks that you want to convert. Select the audiobooks that you need to remove DRM and click "OK". 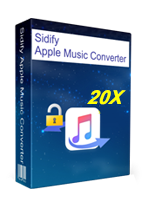 Tip: Sidify Apple Music Converter which can be also used to convert all your M4P Music and Apple Music to MP3, AAC, WAV or FLAC format. Directly click setting button on the upper right of Sidify, a window would pop up. Here you can prefer to choose output format as MP3, set the converting speed up to 10X and adjust the output quality to Audiobook(64 Kbps). Besides, the output path is also changeable if required; If not, the output audio tracks will be saved under the default folder. Ready? Click “Convert” to start conversion and get a cup of coffee. 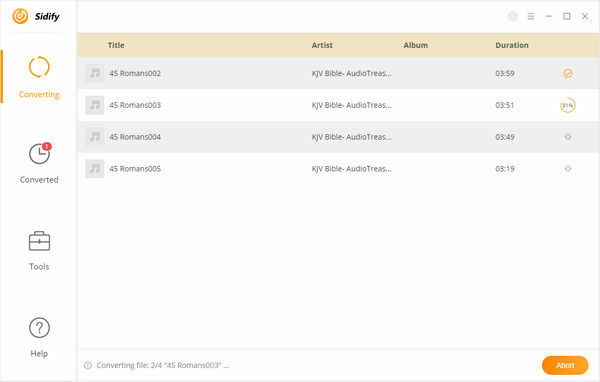 After conversion finished, you can click to find the converted M4B audio files under specified folder. Now, you can listen to your favorite audiobooks on your iPhone in many places: at home, in the car, or when you’re out walking or travelling!